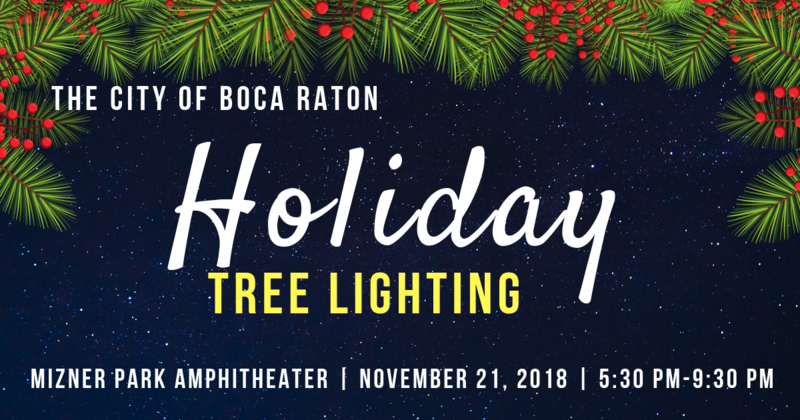 On Wednesday, November 21, 2018, kick off the Holiday season at Boca Raton’s Annual Holiday Tree Lighting event at Mizner Park Amphitheater & Mizner Plaza in Downtown Boca Raton! Experience the ceremonial lighting of the City's tree led by Mayor Scott Singer, which will illuminate simultaneously with Mizner Park’s tree located at the south end of the shopping center. Following the traditional tree lighting ceremony, enjoy a spectacular holiday fireworks display above the amphitheater! 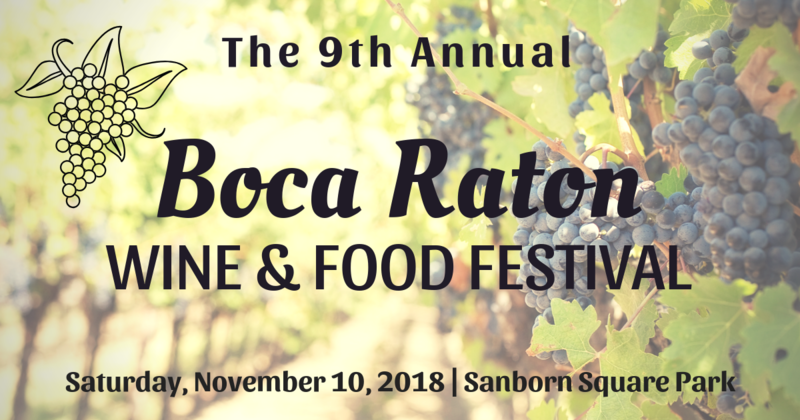 This Saturday, November 10, 2018, the Annual Boca Raton Wine & Food Festival returns for its 9th consecutive year with the Grand Tasting, “A Culinary Affair!” Hailed as one of the biggest and best culinary events in South Florida, the festival will take place inside Sanborn Square Park in the heart of Downtown Boca Raton. Master chefs from the tri-county area will gather for the Grand Tasting at the festival grounds from 6 pm to 10 pm to create a culinary experience like no other. The festival grounds will be completely transformed into an elegant walkway winding through a series of elaborately decorated “Villages,” each representing a unique country, region, or culinary theme. Some of the festival’s villages will include Italy, America, the Mediterranean, Asia-Pacific, and Spain, taking you on a tantalizing journey of authentic tastes, sights, and sounds from all over the world. There will also be a "Sweet Endings Village" and a "BBQ Village", as well as two foodie favorites, the "Craft Brew, Fine Wine, & Artisanal Cheese Village" & the "Specialty Foods Village."